$750/month (1 pax), $900 (2 pax). Minimal 6 months lease. Rent inclusive of utilities bills. NO agent fees, No landlord stay. 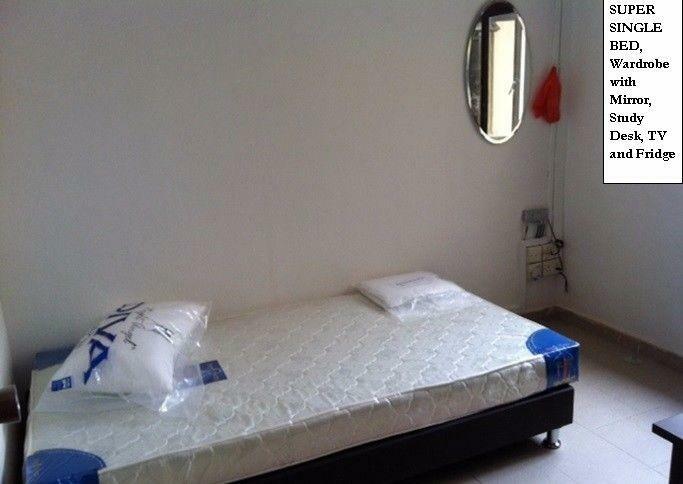 Fully furnished with TV/fridge, aircon, super-single-size bed, wardrobe, study table, chair. Two free hi-speed wireless internet points, one from Singtel, one from Starhub. Shared usage of 3 bathrooms/toilets, weekly cleaning by cleaner. Weekly cleanings by cleaner on common areas. Quarterly aircon servicings on room aircons. Apartment is at 236B Sims Avenue, very near Aljunied MRT. 3 mins walk to aljunied MRT, 1-4 stations away from Kallang, Lavender, Bugis, City Hall, Raffles Place. 15 mins bus ride to CBD/Suntec areas for work, boat quay & clarke quay for night entertainments, etc. pls indicate your target move in date also. If you are overseas and wish to book the room, it's also fine.